Audioslave singer Chris Cornell has quit the band, he announced Feb. 15. "Due to irresolvable personality conflicts as well as musical differences, I am permanently leaving the band Audioslave. I wish the other three members nothing but the best in all of their future endeavors," he said. Cornell will release "Carry On," his second solo album, on May 1. The other members of Audioslave have reunited with singer Zack de la Rocha to reform Rage Against the Machine, which will play at the Coachella festival on April 29. The band's plans beyond this show are unknown. Do you think Audioslave will try to "carry on" without Cornell? Will RATM stay together beyond Coachella? This is a great news! Audioslave is a project that produced nothing relevant. Chris Cornell can have a great solo career... I listened to his unplugged concert in Sweden... he needs no other musicians. I like Audioslave, but I'll be very interested to hear Cornell's new solo album. His last solo album was quite a while ago, I think. I agree. Individually, the members are awesome, but the band is just good. This is a good example of the whole not being the least bit equal to the sum of its parts. The impact of Audioslave to music doesn't even come close to what Soundgarden and RATM did. Chris Cornell should just be Chris Cornell and Audioslave shouldn't return. If RATM can, then great, if not, Tom Morello and the rest of the boys should put up another band. Since Morello & company won't have Audioslave to get back to, it'll be interesting to see if this means the RATM reunion will be more than a one-show affair. Thanks for the links... I don't see too many videos, and I haven't seen these. you are very welcome. I always like to do responses in music topics! 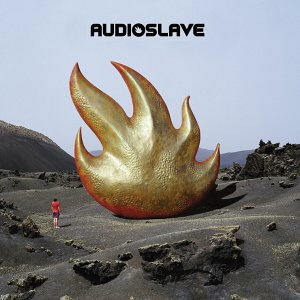 Which Audioslave CD do you think is best? Do you like his first solo CD? I've always enjoyed RATM more than Audioslave and felt it was a worse image for the band to go "religious". Funny to hear that when RATM was a political band but musically RATM blew Audioslave away. And as for the musical differences, what did Chris Cornell expect? He can't rap like de la Rocha and carry on a great rock tune to empower a crowd. Has de la Rocha done any solo stuff since leaving RATM, or has he been doing nonmusical stuff? David Lee Roth is going back toVan Halen... maybe de la Rocha will see this and be inspired to rejoin RATM for more than one show! I like Audioslave too. Not sure what RATM is doing after Coachella; that may be their one and only performance. I would hope that RATM would at least do a performance in Europe for all their fans outside the U.S. I read the other day that one of the RATM guys said people shouldn't be expecting the band to do any more than that one show. So it sounds like just a one-time thing. Well that's kinda disappointing, but still I think the rest of the guys do move on. There are still performers there that are more qualified and deserving to be their frontman..